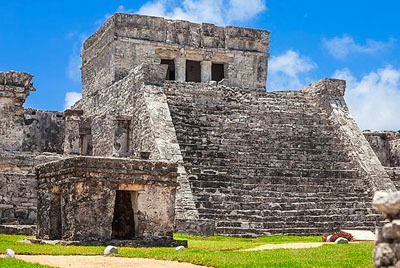 This package provides an affordable alternative to visit two of the most popular attractions for Cancun and Riviera Maya visitors, Xcaret EcoPark and The Mayan Ruins of Chichen Itza. Select your visit day for each tour. You have 15 days to complete your package starting from the moment you take the first tour (1 tour per day). Enjoy a wonderful day with the beauty of the Caribbean Sea and the magic of a thousand-year-old civilization. The perfect place to know the best of history and traditions of México. After visiting the majestic city of Chichen Itza, get refreshed in the crystal clear water of the “Sacred Blue Cenote” in Ik Kil, “Place of winds”.